Let me start by thanking you all for the crazy amount of positive feedback on our very first VLOG! We were so nervous about posting it, since it's so different from writing a blog post. We were also surprised by how much fun it was for us to make this video! We only briefly spoke before about some of the subjects we wanted to talk about. Matt wrote down some of the questions you guys had asked and so did I, but we didn't discuss any of it beforehand. All in all it was a very positive experience for us and we actually can't wait to do it again!!! Like we said before, keep the questions coming and we'll make sure to feature them in our next videos!!! 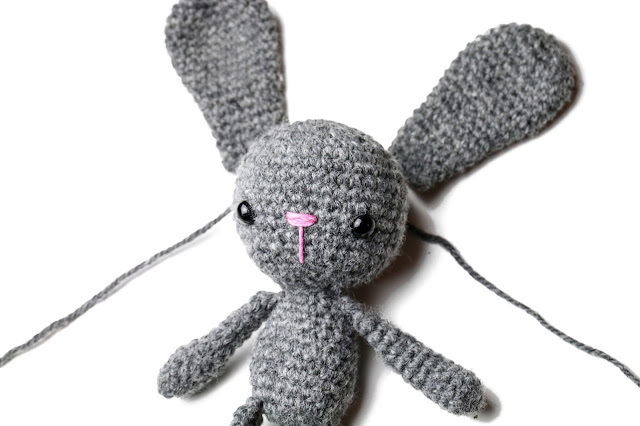 Now back onto the subject of everyones favourite pastime: CROCHET. I was walking Poppy with my lovely neighbour Tanja, which is something we do together every Tuesday till Friday. Especially when Matt is off to work, it's really nice having someone to walk the dog with, because especially the long walk (about an hour) can feel quite long when the weather is not so nice. Tanja showed lots of interest in our crochet endeavours, so I taught her the basics of crochet a while back. We didn't have much time yet, but she already managed to make some christmas presents for her daughter and nieces. She crocheted them some handbags with flower embellishments! I was very proud of my 'student'!! She still struggles with reading patterns and told me she tried making her daughter a little Easter Bunny. She found a tutorial on YouTube but she thought the instructions weren't very clear and she gave up. 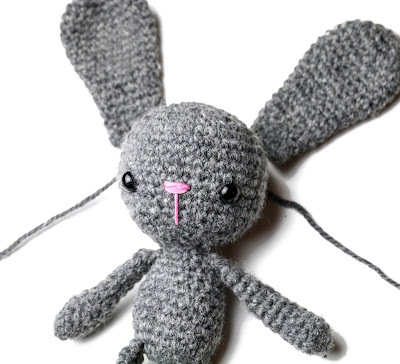 Since she just told me she had her birthday coming up the next day, I decided I was going to spend the rest of my day crocheting her a little Easter Bunny that she could either give to her daughter or keep for herself! I decided to go with a yarn that I have grown to love recently. 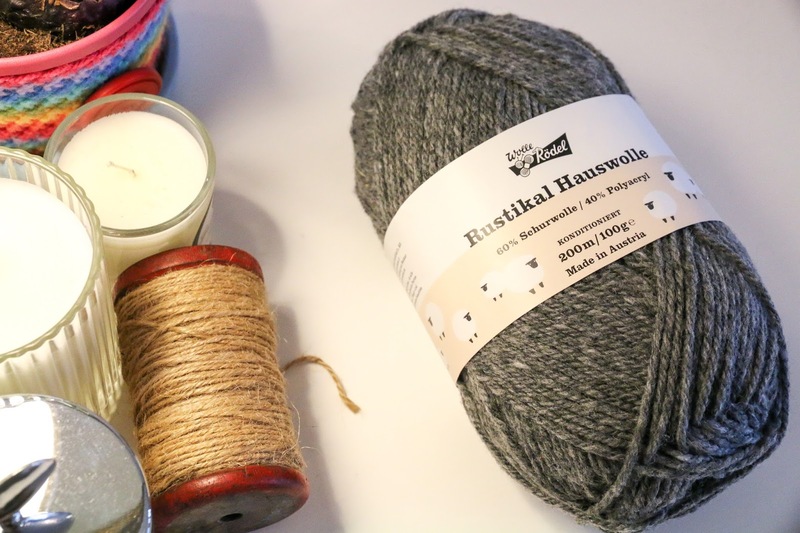 It's called Rustikal Hauswolle (Rustic House Wool) by Wolle Rödel It's a pure wool, that's definitely on the chunky side of worsted. I love how 'rustic' it looks and it comes in a couple of really nice shades. I went with a medium grey colour, which I though would work great with some light pink details. For the pink I used some mercerised cotton (Mille Fili by Wolle Rödel). It's perfect yarn for the nose detailing, since it's not a very fuzzy yarn. I actually found it really hard finding a pattern that I liked on Ravelry. 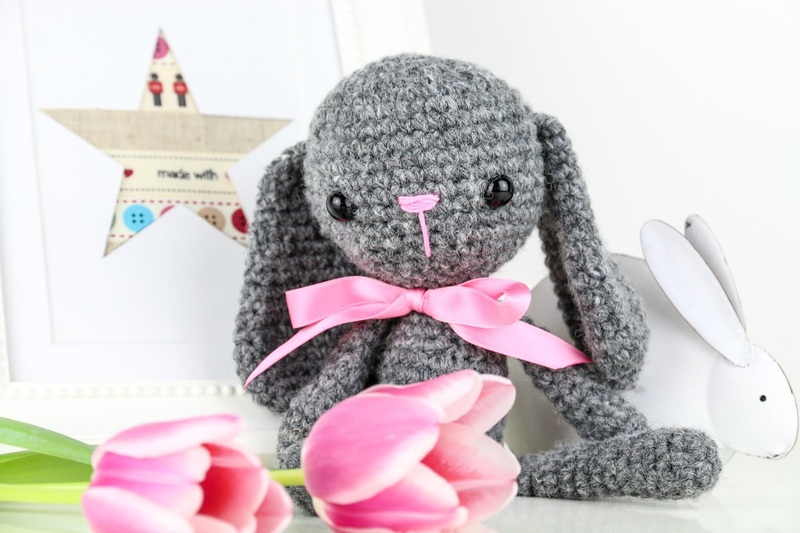 It took me a good half hour of searching the web until I came across this lovely pattern: Small Bunny by Kristi Tullus Here's picture of her finished bunnies! You can choose to have the ears up or a version with the ears down. The pattern was very well written and so easy to follow! Her photographs are beautiful and really make you want to finish your project! I used a 4mm crochet hook, which proved to be a little tedious with such thick yarn. However, the results were definitely worth the extra perseverance! I decided to go with the floppy eared version of the bunny. 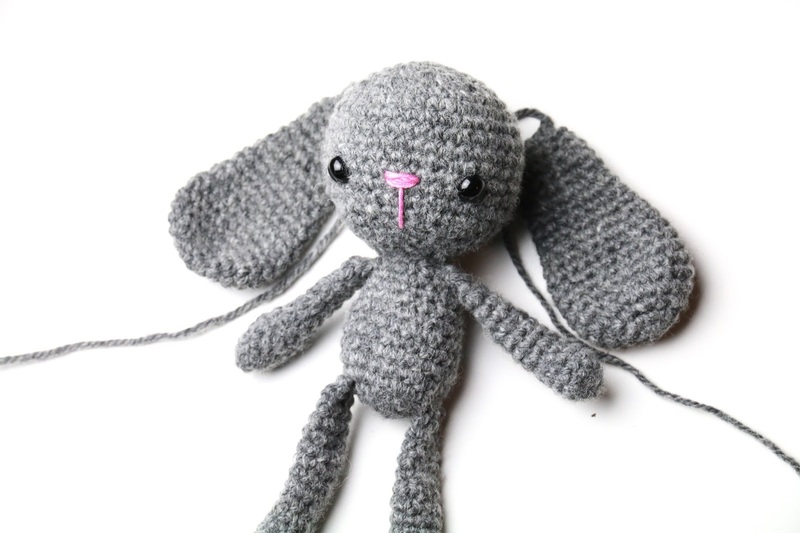 Although, once I had finished the ears I wasn't totally convinced that floppy ears was the way to go?! I decided to ask our community for help! 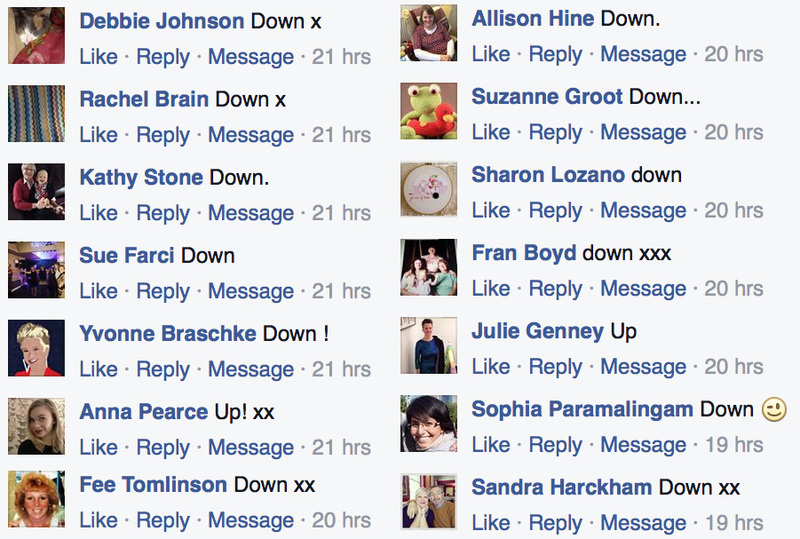 On our Facebook Page and on Instagram I asked you to choose your favourite version. The amount of reactions was absolutely crazy! I asked on 3 different locations on the web and must have had about a 1000 replies! Most of you guys chose down which made me really happy because that was what my first instinct was! I attached the floppy ears and finished off with a cute little pink bow around her neck, just like in the pictures of the original pattern. I could not believe how cute she was! Almost impossible to part with ;-) I surrounded her with some nice tulips, a picture frame and another little bunny, so that we could take a nice picture of her! 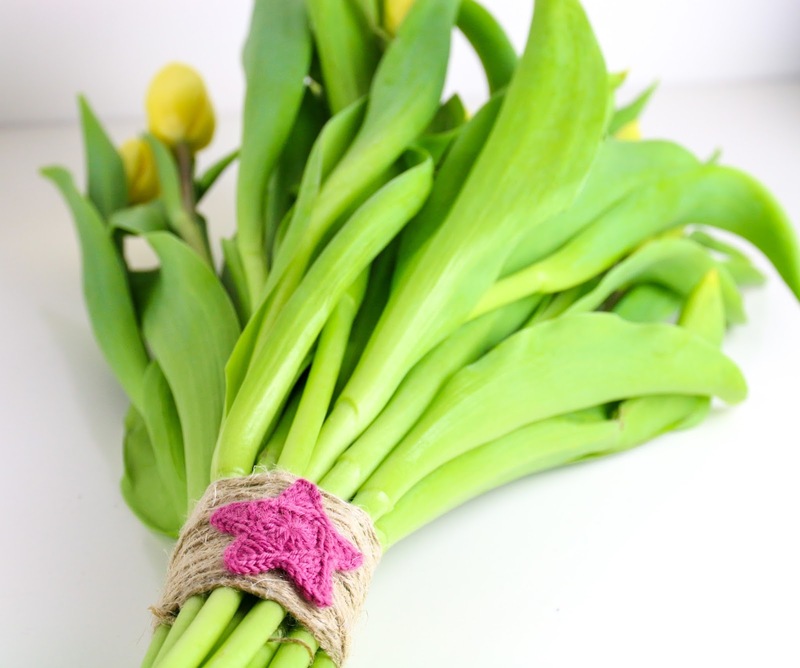 I also bought Tanja some nice Tulips, which I wrapped in twine and added one of my little "Simple Stars" to it for decoration. It was actually Matt's idea to wrap them in twine. What a nice idea it was, as the tulips looked lovely! A great way to transform a bunch of tulips, into something ever MORE special! This was a really fun make and it's always nice to give gifts, especially to someone unsuspecting! The bunny is adorable! Just think of the wardrobe you could crochet for sweet bunny! I love your humor about keeping stuff up high where Matt can't reach it! Funny! Awww, I wish you guys were MY neighbors! I like the ears down bunny, too. Where do you get your safety eyes? I'm in the United States and have a hard time finding them! I have to buy them on Etsy, but even then, finding U.S. sellers can be tricky!